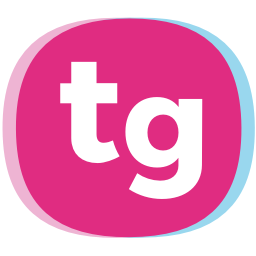 TeacherGaming Desk is an online platform that provides teachers games and tools to use games in their classroom. Our games are entertainment games with a great pedagogical potential. To make games accessible for teachers, on TeacherGaming Desk there’s a whole educational package for every game, including ready-made lesson plans and real-time learning analytics. On TeacherGaming you can purchase a subscription package of all the games. This way all the teachers of your school can take advantage of games in their classrooms. What can I do with TeacherGaming Desk? Find games for your classroom. TeacherGaming Desk provides over 40 games for different subjects and age groups. You can search games based on the subject, age range and curriculum alignments. Run a game-based learning lesson with our ready-made lesson plans, which makes teaching with games easy. Track your students’ progress during the lesson while they play and learn, with our real-time learning analytics. Review your students’ learning after every lesson - and whenever you want to. Study on the lessons your teacher is running on TeacherGaming Desk. The structure of each lesson is always the same, so you know what to expect. Learn by playing games as a part of each lesson. The games aren't only educational, they are also engaging. Use only one App for installing and using the games. What games are included in the subscription? What is TeacherGaming Student App?